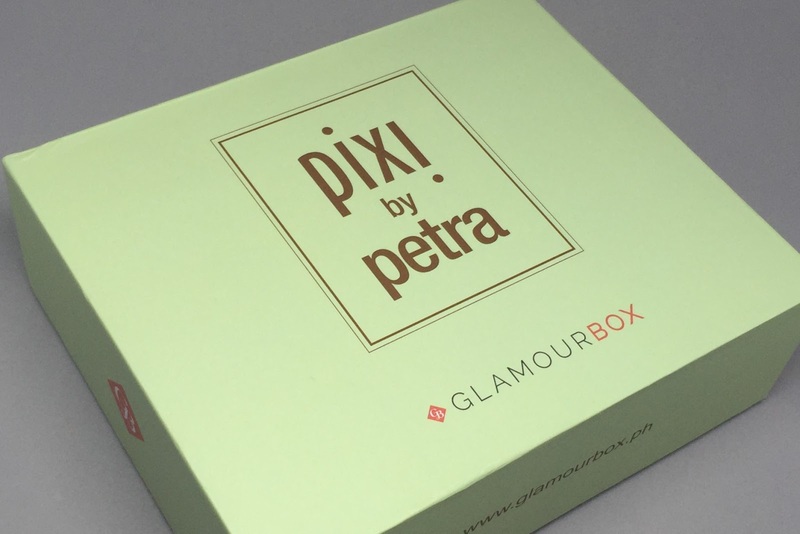 If you haven't heard of Glamourbox, girl where've you been? 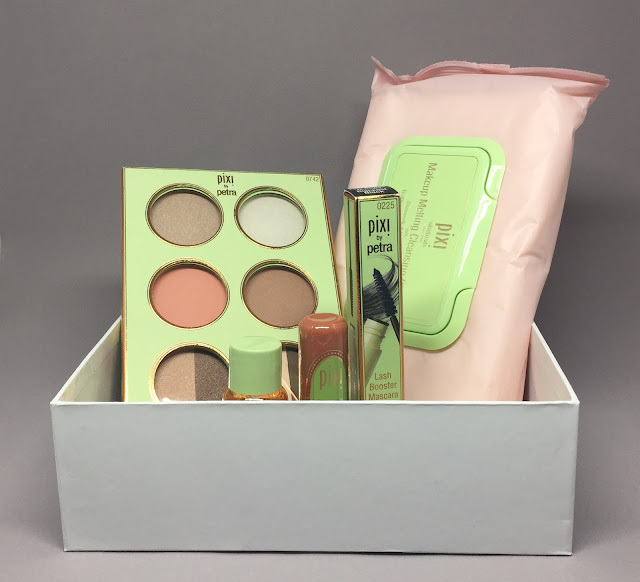 It's a monthly beauty box subscription bringing you curated products from different brands although they do feature exclusive boxes at times like their BYS cosmetics exclusive box and just recently the Pixi by Petra box dubbed as Perfectly Pixi. When a good friend tipped me on Glamourbox releasing the Perfectly Pixi box, I just couldn't resist getting one. I've been on a beauty box subscription hiatus for months that I thought it may be okay to get one again. 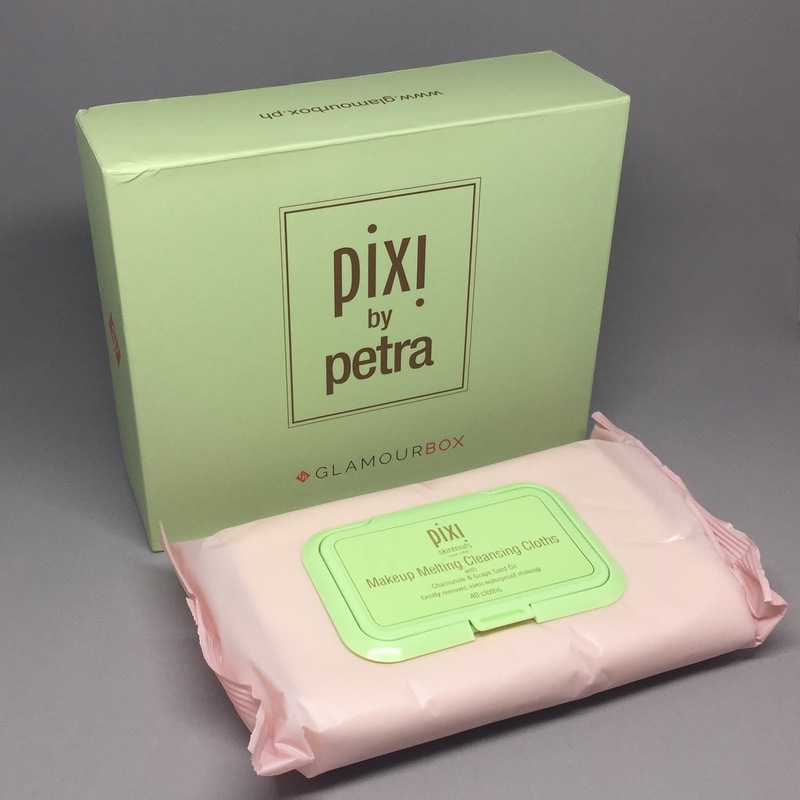 Good thing I did subscribe because Pixi is a brand I've been hearing good things about yet haven't tried before. So let's get on with the contents shall we? This multi-purpose face palette consists of "next to nothing" everyday shades to help you achieve a "barely there" makeup look. It contains 2 highliters, 2 cheek shades and 4 eye shadows. I actually love that they threw in mattes and shimmery varieties of everything. 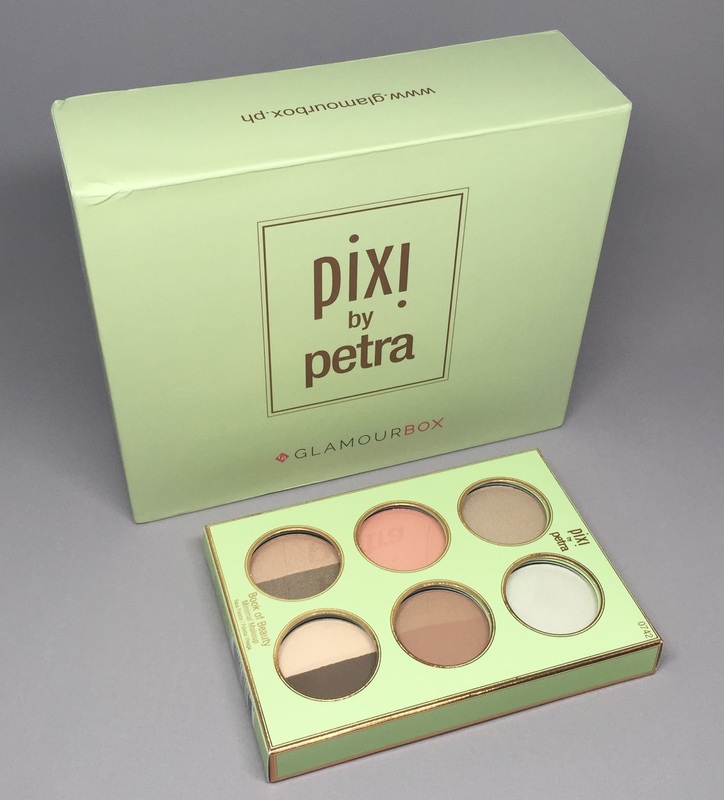 Like all other products from Pixi, this palette is paraben free and was not tested on animals. This is a waterproof mascara that's expected to deliver a "push-up" effect leaving each lash curled and voluminous. It has an intense black pigment which gives maximum color payoff. Again, this is paraben free and was not tested on animals. This is a deeply moisturizing tinted lip balm that adds a gorgeous wash of color to your lips. It's packed with beneficial ingredients like Shea Butter for nourishment and Vitamin E for protection. These are cleansing cloths that gently yet efficiently remove all traces of makeup, even the most stubborn waterproof formulas. Each cloth is infused with soothing and hydrating botanical extracts expected to make the skin feel perfectly clean and balanced after each use. This product is an exfoliating toner which contains 5% Glycolic Acid, Aloe Vera and Ginseng. It's formulated to gently exfoliate and even out skintone for a brighter, smoother and more glowing complexion. It's alcohol free and hypoallergenic. 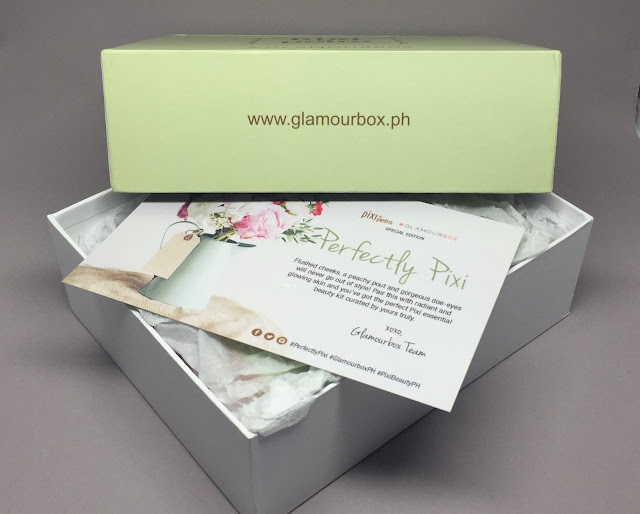 To sum it all up, the Perfectly Pixi Glamourbox contains products worth Php 3,439 which is more than twice the amount I paid for it plus shipping (Php 1,370). What's great about an exclusive box is you already have an idea of what brand to get but you wouldn't really know which ones in particular until you finally get hold of the box. 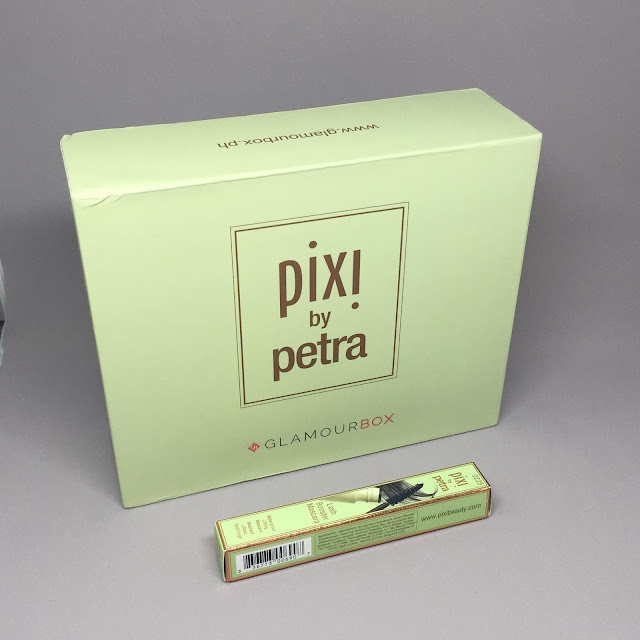 Overall, I'm all hyped up about the box but I've always wanted to try the Pixi Glow Mist and I would've loved if it was included in the box. Just the same, the Perfectly Pixi Glamourbox still rocks! You may get yours at their website until they're available.